Tall Square Vase, Foliage: Myrtle, Variegated Pittosporum, Variegated Aspidistra, Pale Pink La Hybrid Lilies, Pink & Green Polka Dotted Ribbon. This blushing beauty is the perfect symbol of hope. 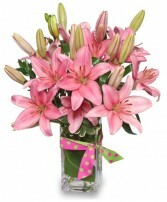 Filled with light pink hybrid lilies, it is a wonderful reminder of new life, spring, and love. Try sending it for mother's day, new baby, or Easter! 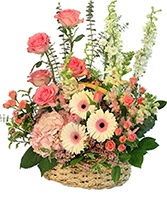 Oval Basket, Salal, Variegated Mini Pittosporum, Baby Eucalyptus, Pink Roses, Bicolor Pinkwhite Gerberas, Pink Hydrangeas, Pink Spray Roses, Pink Larkspur, Light Pink Snapdragons, Pink Tulips. There's nothing bashful about these blushing blooms! 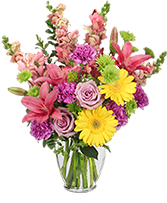 Pink roses, tulips, snapdragons, and gerberas are a lovely sight to behold in their basket. 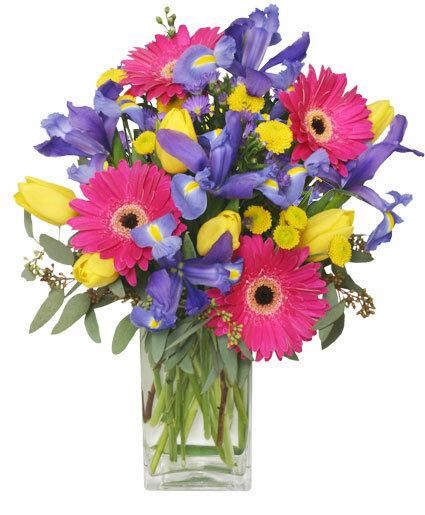 No matter if you are looking to surprise someone special or want to send flowers just because, Blushing Sweetness is a delight for anyone to lay their eyes on. 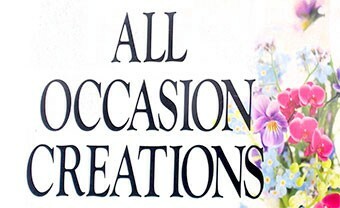 Classic Urn Vase, Foliage: Leather Leaf, Pittosporum, Green Bupleurum, Green Button Poms, Lavender Carnations, Pink Snapdragons, Hot Pink Lilies, Lavender Roses, Yellow Gerberas.